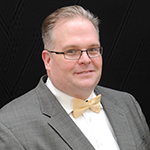 The 2008-2017 Chevrolet Traverse, Saturn Outlook, GMC Acadia and Buick Enclave are all based on the Lambda platform and represent a large portion of GM vehicles. These vehicles can be front- or all-wheel drive. All models have the same rear disc brake setup with the parking brake in the hat of the rotor. The platform incorporates Tire Pressure Monitoring (TPM) ABS and StabiliTrak electronic stability control. In 2014, the Lambda platform received an optional lane departure and collision avoidance system. Remove the strut lower bolt to inspect for an oblong strut lower hole. If the strut lower hole is elongated, loosen the strut’s upper bolt to allow for camber adjustment. If the strut lower hole is not elongated, you can install a cam bolt in the upper hole or elongate the lower hole. Typically, either method will allow for ±1.75 degrees of camber. To adjust rear camber, loosen the adjuster cam nut on the upper control arm. Using a wrench to rotate the adjuster bolt, adjust the cam to specifications. Ensure that the camber settings have not changed after you torque the adjuster nut. Check the toe alignment and adjust, if required. Make any adjustments to camber before setting toe. Loosen the adjuster nut on the toe link. Using a wrench to rotate the adjuster bolt, adjust the cam to specifications. Check toe and camber specifications to ensure that the toe settings have not changed after torquing the adjuster nut to specs. Using a wrench to hold the adjuster bolt, tighten the adjuster nut. The steering angle sensor on this GM platform requires calibration with a scan tool if the suspension parts are replaced, or if toe angle or thrust angle are altered. The steering angle input is needed for the ABS, Stability control and ADAS systems. 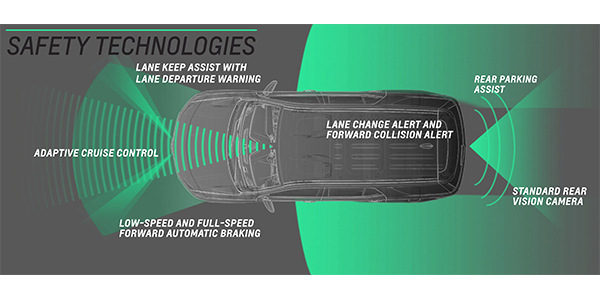 The lane departure warning system uses a front-view camera that issues a warning when the system detects that the vehicle has unintentionally crossed a lane marking. The front-view camera is located behind the windshield, looking out at the road ahead and identifying any lane markings. When the vehicle unintentionally leaves a detected lane, a visual and audible alert is given to the driver. The front view camera module also communicates via serial data with the instrument cluster and radio to request visual and audible alerts. The front-view camera module can command the driver information center to display the various messages to alert the driver of a system concern or status information. The system works between 5-37 mph. The system may not detect a vehicle ahead if the front-view camera module is blocked by dirt, snow or ice, or if the windshield is damaged. In some cases, the forward collision alert system may provide unnecessary alerts for turning vehicles, vehicles in other lanes, objects that are not vehicles or shadows. These alerts are normal operation and the vehicle does not need service. The forward collision alert system is an option that also uses the front-view camera module that issues a warning to the driver when a potential collision risk exists. The forward collision alert system is always active and operates at speeds above 25 mph. When approaching another vehicle too rapidly, the collision alert symbol will flash in the vehicle direction display and an audible alert sounds. The forward collision alert sensitivity can be adjusted using the forward collision alert switch in the left steering wheel controls. When the system detects a vehicle ahead traveling in the same direction that you may be about to crash into, it can provide a boost to braking or will automatically brake the vehicle. This can help avoid or lessen the severity of crashes when driving in a forward gear. Depending on the situation, the vehicle may automatically brake moderately or hard. 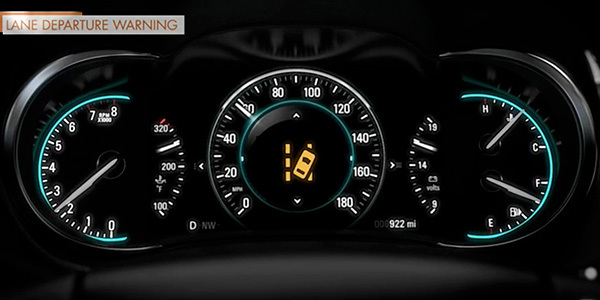 This front automatic braking can occur only if a vehicle is detected. 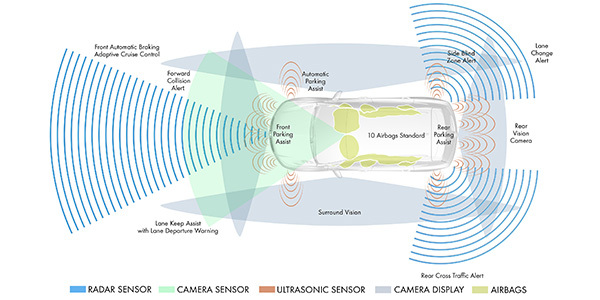 A scan tool with ADAS capabilities is required to initiate the camera calibration. The calibration process for the front-view camera system is necessary when a front-view camera module is replaced with a new one. According to GM, it is not required when replacing only the windshield. The process needs to be completed within three to five minutes when the correct driving conditions are met. If conditions are not met, the front-view camera module will continuously run the service point calibration until it is successfully completed. The process works across ignition cycles and is not be required to be re-initialized at startup. If the Lane Departure Warning Switch is pressed during calibration, the indicator will flash momentarily and then stay out; this is normal operation. During this time, the Lane Departure Warning amber indicator will illuminate. During the next ignition cycle, the “Service Front Camera” will be displayed until successful calibration and code B1008 4B may be active. For the calibration to be completed with the scan tool, follow the prompts on the screen. Make sure the windshield is clean and the camera is properly clipped into the mounting. On the drive, avoid lane changes if possible and keep a steady pace between 35-56 mph. The ideal calibration condition is driving on a two-lane divided highway with markings on both sides of the lane.